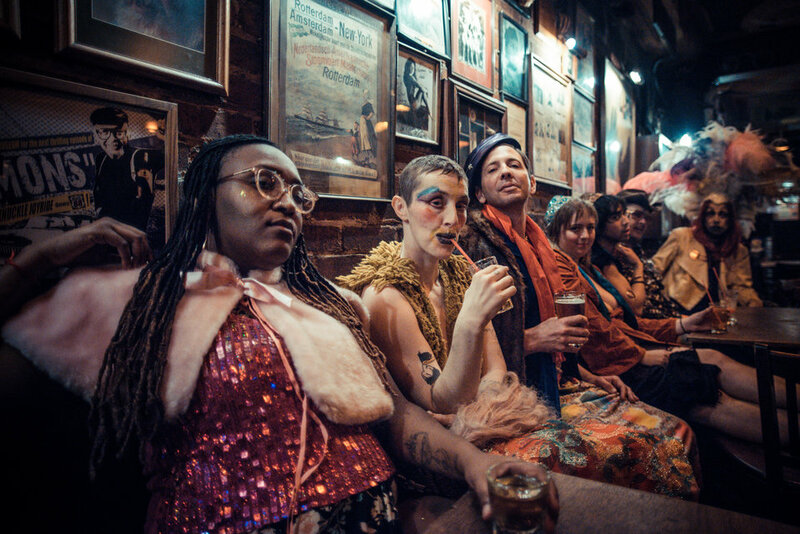 This Saturday, artists, performers and amateur historians will descend upon North Beach for OUT of Site, a performance and walking tour that brings to life the neighborhood's queer historical roots. While the Castro and Polk Gulch are better known for their role in local LGBTQ history and culture, North Beach was "a hotbed for creative activity that was really set in motion by the gay clubs," said creator and director Seth Eisen in a phone interview. To kick things off, the tour commences with a "two-spirit" ritual inspired by the Ohlone, Native Americans who lived in Northern California before European colonization. "They had a very special role for two-spirit people that didn't fit the gender binary," said Eisen, who added that the troupe has received the tribe's blessing for its production. Lisa Evans, Silky Shoemaker, Ryan Hayes, Ariel Harris-Porada, Earl Alfred Paus, Sarah Paradise and Diego Gomez. "Before the city was colonized by the Spanish and the Mexican people, there were native people that respected difference," Eisen said. "The culture that was already here already had a space for the people that didn't fit into traditional gender roles." The importance of gay bars and their patrons is also an important highlight of the tour, he said. While the neighborhood was known for its bawdy, liquor-loving behavior, clubs were not merely places to drink--they became community centers for the LGBTQ+ community at the time. "Publicly, you were a deviant and outside of the law," Eisen said. "So, it was important for us to have safe spaces to go to." 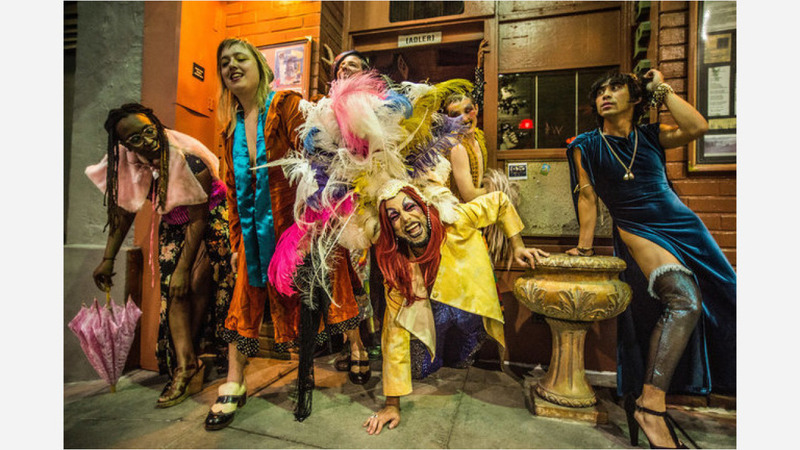 Actors on the tour will also perform a 19th century "stag dance" to showcase a time when San Francisco was predominately populated by men and cross-dressing was commonplace. Attendees will also get a chance to meet an actor portraying Jose Sarria, a regular drag performer at notable former gay bar, the Black Cat Cafe. 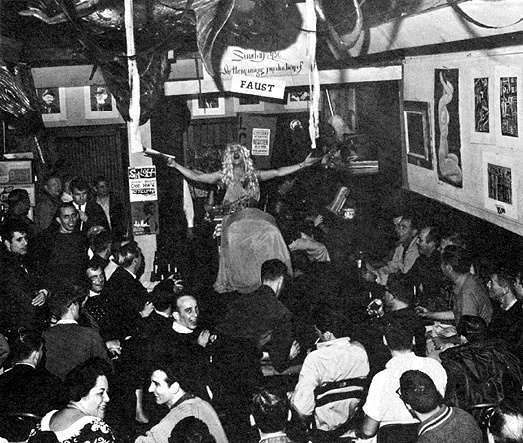 Eisen said that during club's heyday, the bar was maintained by straight ownership "because you couldn't own a club if you were gay; it was sort of a pre-gay-liberation zone." Sarria--also known as The Grand Mere, Absolute Empress I de San Francisco, and the Widow Norton--was the first openly gay candidate for public office in the United States. Much of the gay liberation movement was sparked in these spaces, Eisen said, "We're bringing them into the public conscious and explaining why they were so important." The environment that produced the Beat generation, the Summer of Love, and even the tech industry, was paved by the creative culture of the queer community, said Eisen. "Despite the influx of new people coming to the city because of our current gold rush...it's important to know that North Beach and the Tenderloin, these gay centers, fueled San Francisco's culture at large." Following the two-weekend performance event in North Beach, the theater company will debut the second part of its performance by showcasing notable queer spaces in the Tenderloin, such as the Compton's Cafeteria riot of 1966 and Vanguard, the country's first homeless queer youth movement. Diego Gomez, Sarah Paradise, Ryan Hayes, Seth Eisen, Ariel Harris-Porada, Silky Shoemaker, Earl Alfred Paus, Lisa Evans. 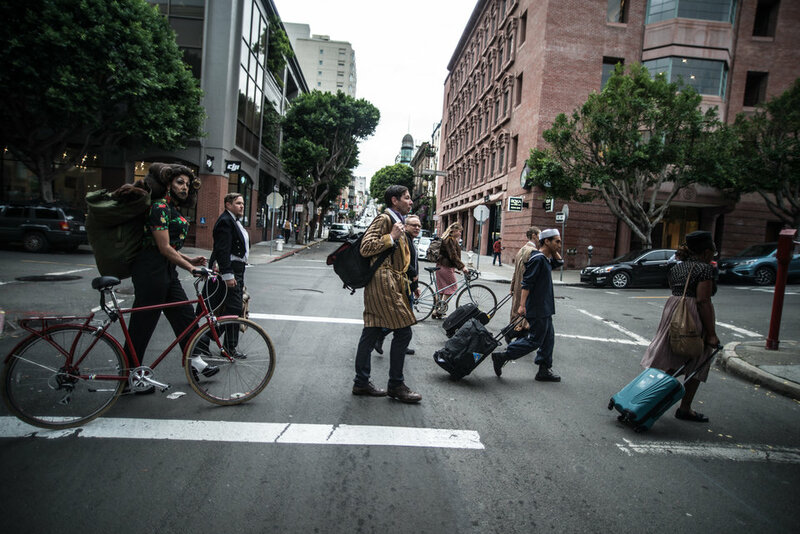 OUT of Site is presented by transdisciplinary ensemble theater company, Eye Zen--founded by Seth Eisen, and Shaping San Francisco. Part One begins in North Beach at Mark Twain Plaza (Entrance at Sansome Street, between Washington and Clay Streets) on March 10th with shows at noon and 4pm, and on Sunday March 11th at 2pm. Shows reconvene on March 24th and 25th with the same showtimes. Part Two begins at the Tenderloin National Forest (509 Ellis St.) on May 12th with shows at noon and 4pm, and on Sunday May 13th at 2pm. Tenderloin shows reconvene on May 26th and 27th with the same showtimes.